The Timeline Template is perfect for introducing a series of chronological events to your Participants. 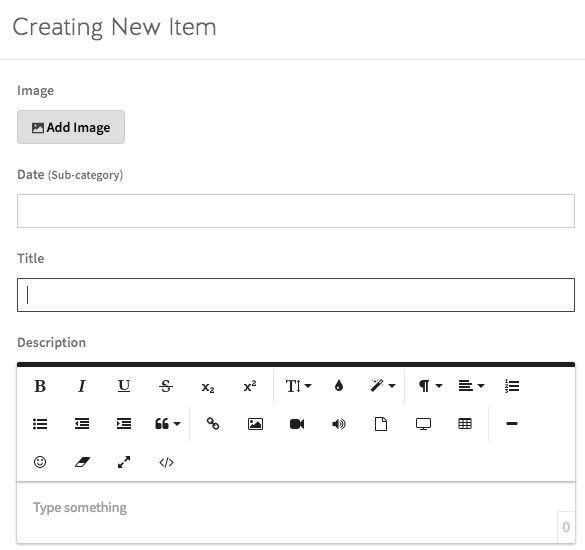 With the ability to add multiple categories, you can now run through multiple timelines on the same template. Step 1: Select the Timeline Template from the ‘Presentation’ panel. Step 2: Drag your Timeline Template into the Lesson Pathway. Step 4: Click the ‘Edit Screen’ button. Step 6: To start building your timeline, select the green ‘Add Category’ button. Step 7: Give your new category a name, then click the green checkmark button. Step 8: Click on the green plus sign to add your new category’s first date. Step 9: Click on the yellow edit button to edit your date’s image, title, and description. Step 10: Choose your date’s image and enter a title and description for it. Image Tips: Images with a low height work best on this template. We recommend sizes of 460 x 200 pixels. 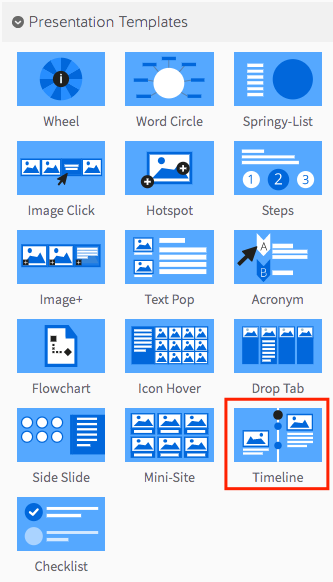 Step 11: When you’re done adding your image, title, and text, select the green checkmark to save your changes. Note: To add additional dates in your category, simply repeat the process. To add a new category, select the ‘Add Category’ button that you clicked earlier. You can re-order each date and category by using the ‘drag and drop’ handles on the left. The order they’re displayed in here is the order that will be displayed to Participants. 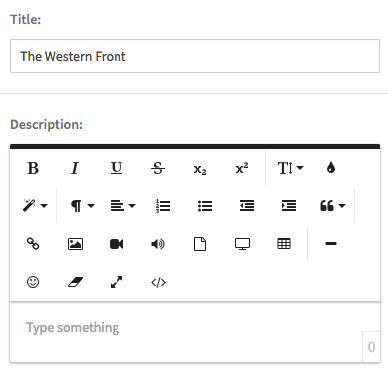 Step 11: To preview your interactive template, click on the ‘preview’ icon.